Two weeks ago we made a delicious bouillabaisse with fresh fish. We had to clean and prepare redfish, cod, prawns, scallops, mussels, gurnard and monkfish. A bouillabaisse is a kind of French clear soup with spices and vegetables. We learned a lot about fish and it was a really delicious bouillabaisse. Last Thursday we had our last cooking evening of this year. It was a really tasty end of the first 3 months Spermalie. I saw a lot of new techniques, learned a lot about food and made delicious dishes. We ended last Thursday with a 2,5 – 0 score for Spermalie. 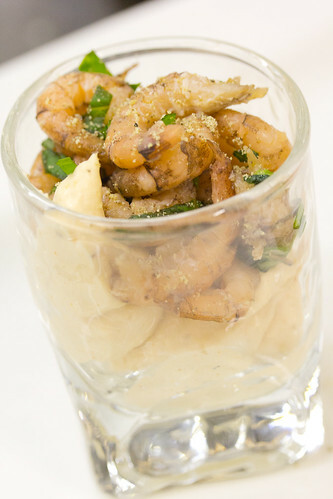 The first dish were some small appetizers with shrimps. We had to clean fresh shrimps and we had to make fish stock. All this work, just for a small shrimp croquette. But I really want to do all this work, because the taste was really good. 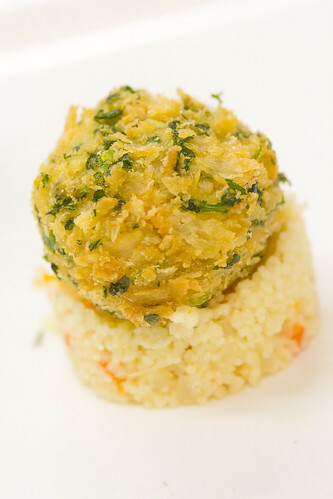 It’s probably the best shrimp croquette I ever ate. A second appetizer was a mousse of shrimp. Also this was very good, a bit too much, but it was ok. 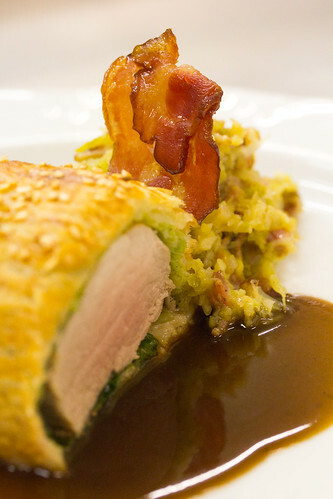 The second (main) dish was pork tenderloin with green cabbage. It was ok, but a bit to dry. So just a 0,5 for this dish. 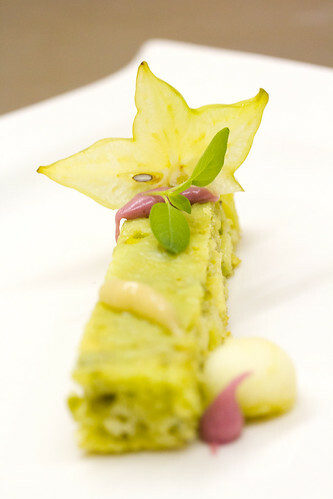 The dessert was a almond cake with apple and pistachios. It looked really delicious and yes, also the taste was delicious. It’s a dish I will make at home for sure. 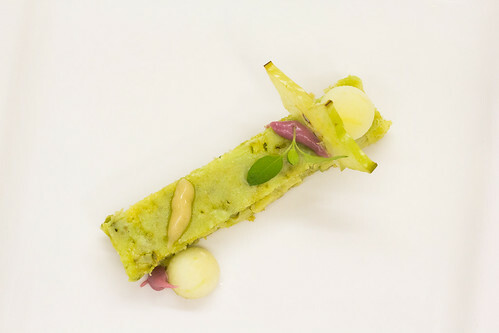 Thx Chef René and more news about Spermalie in 2012.